Nails are filed to you preferred shape and Vinylux polish* is applied. Nails are shaped and cuticles are tidied. Hand and arms are exfoliated and then follwed by a relaxing hand and arm massage. Finishing off with Vinylux polish* applied. 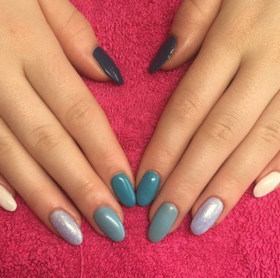 Everything you would get in our Manicure with an added Paraffin wax which makes your skin feelin super soft for days! 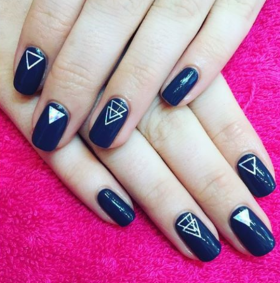 Nails are cut and filed to your preferred length and shape and Vinylux polish* is applied. Your feet are exfoliated and soaked in a lovely warm foot spa. Hard skin is buffed away. Nails are then cut and filed, cuticles are tided and to finish off a relaxing massage and Vinylux polish* is applied. Everything you would get in our Pedicure with an added Paraffin Wax treatment which leaves you feeling like you are walking on air! Can only be described as Power Polish! This polish leaves you with glossy nails that will last upto 2 weeks. Long gone are the days you sit for half and hour to wait for them to dry and still manage to bash and ruin your nails. With shellac your polish dries instantly, smudge and chip free. 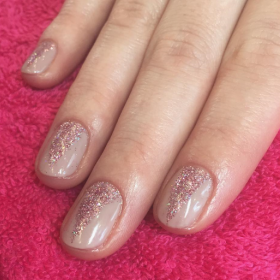 CND Brisa Gel nails is the perfect way to gorgeous nails. Choose from either extensions for added length or overlays for added extra strength. Finishing off with Shellac application. Keep your nails looking fresh with Infill maintenance every 2-3 weeks. Always wear gloves when doing dishes, gardening and cleaning to protect your polish/shellac. CND Solar Oil is recommended to keep your nails healthy and hydrated. Also help moisturise cuticle area and prolong the life of your treatment. Never peel shellac, when booking for removal please let us know if it was not done by Moi.